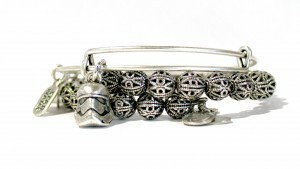 New Alex And Ani x Star Wars! 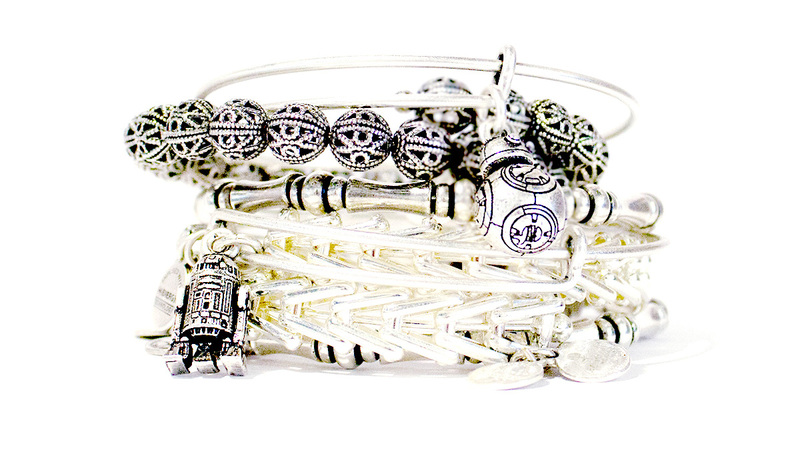 The Disney Parks blog has revealed three new Alex And Ani x Star Wars bracelets coming soon! There are three new Star Wars bracelets in the mini-collection, each featuring a small 3D sculpted pendant, with Alex and Ani’s trademark expandable bracelet style. 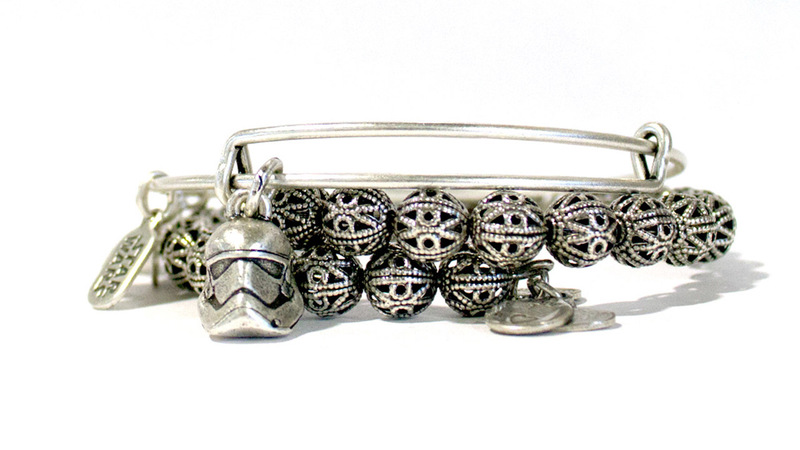 The three designs include BB-8, R2-D2, and First Order Stormtrooper – each bracelet features a RAFAELIAN SILVER® finish. Releasing April 18th, these bracelets are priced at US$39.95 each and will be available to buy on-line from the Disney Store, via the Shop Disney Parks app (sadly the app is only available in the US), and at Disneyland and Walt Disney World parks. If you can’t visit a Disney Park in person, the Disney Store can ship internationally, which is great. These bracelets work really well ‘stacked’, that is, wearing multiple together on your wrist. The Disney Style blog has a fun article with ideas on how to style your Alex And Ani bracelets – read it here. Photos sourced from and belong to Disney Parks blog.